Lauren Spencer of Coldwell Banker Residential Brokerage spoke of her impressive achievements as a real estate agent, and gave a very informative review of her industry and the local real estate market. All Lauren’s clients thoroughly benefit from her patience, assertive approach, and extensive experience in the real estate field. Whether they’re shopping for the very first home, looking for a vacation getaway, selling their personal home or downsizing towards retirement, nothing gives Lauren more satisfaction than seeing their joy at the successful close of the transaction. Learn more about Lauren’s professional services at www.letipsantacruz.com/member-directory/coldwell-banker-residential-brokerage. Lauren Spencer is well known, revered, and respected in the Santa Cruz Real Estate Market. She is the recipient of a Lifetime Achievement Award from the the Santa Cruz County Association of Realtors and was voted Best Realtor of Santa Cruz County in the annual Good Times BEST of Santa Cruz for 2017, 2016, 2015, 2014,2013 and 2012. With over 31 years of experience and a passion for the industry, Lauren is the best choice for all your real estate needs. She puts the care of her clients first and works tirelessly on their behalf. She is honest and ethical and a testimony of integrity and results. Sold over 55+ homes in 1 year? Are you kidding me? 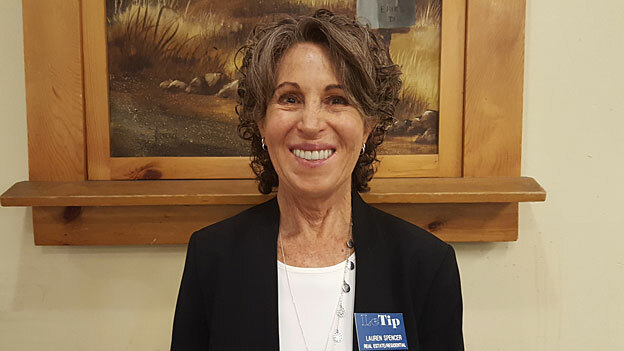 Laurens ability to sell homes in the Santa Cruz greater area is off the charts. There is no doubt that Lauren is at the top of her field. When you combine high passion with extensive experience and knowledge, the result can only be stellar success. Lauren has the PASSION, the EXPERIENCE and the KNOWLEDGE in real estate that produces positive results for her clients. Its a no brainer! Contact Lauren today if you are in need of selling and or buying a home.